As part of the commentary for The Last Jedi, which comes as part of its digital release, Johnson let slip that Dern - who played Vice Admiral Holdo - got a bit too excited during a shootout sequence. He drew reference to one shot of her emerging from smoke and firing a gun - and what viewers may not have noticed is the fact that she actually says “Pew!” under her breath. Sure enough, a GIF image has gone viral on Twitter showing that exact moment - and you can indeed see Dern appear to mouth “Pew” as she fires. 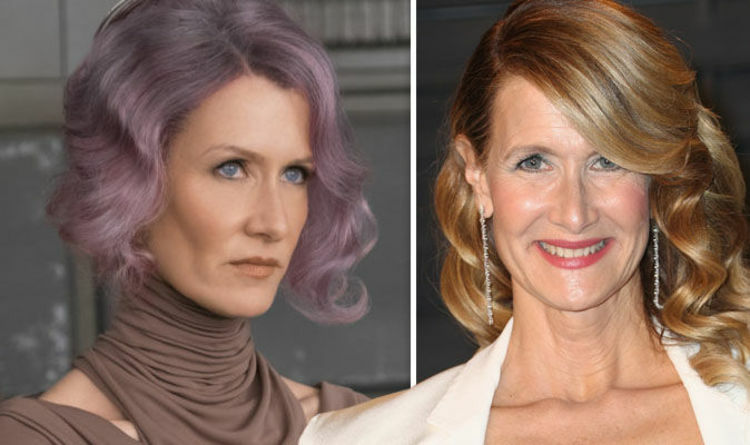 “We didn’t need another reason to love Laura Dern, but we were gifted one nonetheless,” said someone else. Dern had previously joked in interviews that she struggled not to provide her own sound effects. “I’m gonna tell you the most embarrassing story, only because Rian Johnson told it a few days ago,” he told Stephen Colbert last summer. “I didn’t know I did it - there is a moment where I get to have a space weapon in my hand, and I guess didn’t realise back in my bedroom, I went ‘Pew! Pew!’ as I was in the middle!